An extremely quiet super-smooth operator, so a good choice if you have a room above your garage. Excellent build quality, electronic diagnostics and good for single width retractable, sectional or side hinge doors in good working order. It has a soft-start / soft-stop feature and intelligent cut-out for your safety. 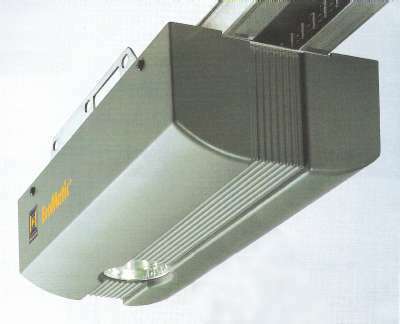 The Promatic is totally maintenance free and comes with brackets suitable for mounting to standard retractable doors as well as sectional doors. Installation is very easy with the boom being pre-tensioned (no boom assembly required) and then mounted in place prior to the motor being fitted; this keeps the weight you have to lift to a minimum. The one-piece toothed belt drive boom has a patent automatic latch for additional security and is available in different lengths to suit taller doors - see table below. One HS2 and one HSE2 key-fob remote control is supplied. Which boom for your door?